One of the best ways that you can do social good with your New Year’s resolutions this year is to volunteer at your local library as a volunteer who reads to children in order to get them more excited about reading in general. You could also volunteer to teach adults to read, thereby making them more employable and providing them with more opportunities. There are many types of races, walks, and biking events that you can participate in as a way to raise money for charities that are working to cure MS, children’s diseases, breast cancer, and many other illnesses around the world. In the New Year, you can find an organization that you are interested in supporting, and then walk, run, bike, or play some other sport to help campaign for these causes. There are even apps that will track your training and donate per mile – all you have to do is exercise to help! Do you have a lot of clothes and other unwanted items lying around, especially after the holidays? While you may be inclined to sell these items, consider giving them to charity instead. There are plenty of people who need warm clothes and other goods, particularly in the winter months, so one of the best things you can do is donate them to organizations like the Salvation Army, who will in turn distribute them to the people who need these items. If you have a passion for helping the homeless and those who are desperately in need, perhaps you can use your spare time volunteering at a soup kitchen. These organizations will help you to dish food out to people who need it, and they provide a safe place and a warm shelter for homeless people to go. If you find you especially like helping these people you could even set a goal to get your online human services degree so that you could work full time to help those in need. Texting while driving is becoming a dangerous epidemic in the US. By choosing to stop texting while driving, you are greatly reducing your chances of having a collision, which benefits others by keeping them safe. You can also institute a “no texting while driving” policy with your family and friends to spread the message of safety. There are various other ways to give back to your community in the New Year. These are just a few ways to do so. 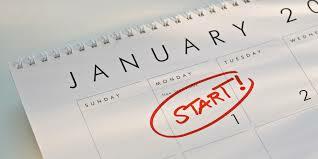 The best part about these resolutions is that they are achievable and revolve around someone other than you – as opposed to the usual “lose weight” goal many of us set at the beginning of each year. What are your goals for the New Year? Are any of these on your list?